The transition of an animal isn’t something a lot of people are comfortable talking about. After transitioning numerous animals Dr. Bernadette has seen the deep importance of offering support around the transition time of a beloved animal and the importance for end of life support. This can include preparing and getting clarity and comfort around the decision process, participating in a transformation ceremony, or connecting with beloved pets that have already passed. 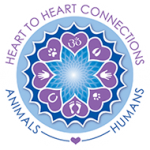 Dr. Bernadette has walked many animals and owners through the transition process and experienced the beauty and grace with which animals transition. Please contact Dr. Bernadette if you are interested in end of life support for your beloved animal. She offers this service to her beloved clients all over the world. These can be done in-person, via phone or Skype.